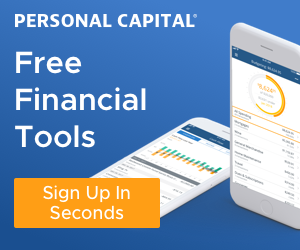 Setting Your Financial Independence Target | Principal F.I. This post may contain affiliate links, which allow us to earn money at no additional cost to you. For more information, please read our Disclaimer. This post continues my FI Basics series for those new to financial independence. If you haven’t had a chance yet, you can check out the two most recent posts Two Numbers to Track Immediately and Sort Your Spending. Both are relevant to this post. If you’ve read the previous FI Basics entries, you’ve probably been thinking “This is all great, but when do I get to financial independence?” Today’s post will help you answer that question for yourself. Before we dive in, a word of caution. You will be able to set a number after reading this post. DO NOT stop with just setting that number. Use it as a goal to start reaching for, but review, refine, and revise along the way. Anyone who tells you to set a simple number once and never pay attention again isn’t looking out for your long-term well being. Okay, now that I’ve done the caution part – let’s find your first FI Target. Yes, just about everything to do with reaching financial independence really does start with your spending. It is simultaneously the limiter, driver, and most powerful component of the journey. So, of course your FI target requires you to know your spending. Key Decision: What is the yearly cost of your FI life? Hopefully, you’ve started to Know Your Spending. You’ll need that to answer this question. If you don’t feel confident in your answers, you can still set your first target. But, you must continue to monitor your spending. Use your growing understanding to adjust this number in the future. Review your monthly spending. List out everything you spend in a typical month. Get as granular as you need, or feel free to combine key areas. I prefer to be detailed but we’ll keep it simple for demonstration. Make it work for you. Total that number up, and multiply it by 12 to get your yearly amount. Now, identify everything you spend each year that did not appear in your monthly expenses. Examples could include insurance payments, taxes, annual giving. This is an important step that too many people skip. For this step, you need to have considered what you will be doing once you reach financial independence. If you plan to live your life exactly as it is now then you don’t have much to do here. If you are planning to retire early or change your lifestyle significantly then this is a critical step. If you do a good job of controlling your spending, you may be able to remove more than you add. Expenses typically go down after retirement. This isn’t true for everyone though, so design according to your desired FI life. Now you have the current yearly cost of your FI life. Key Decision 2: When do you plan to reach FI? Now, you have to factor in inflation. Too many quick articles on setting your FI Target skip this next step. They’ll just use the yearly cost of FI life and call it good. I get it, it adds complexity and can reduce the excitement – because your FI life is about to cost more without you changing it at all. Inflation is real. Prices go up over time. If we don’t account for inflation, then you are making dangerously optimistic decisions. Optimism is good – dangerous optimism is not. Use this inflation calculator to keep this part simple. Enter your Current FI Costs. Enter the year in which you plan to reach FI. I use the base assumption of a 2.5% inflation rate. Others may suggest different numbers, but 2.5 is a reasonable number that I believe is neither overly conservative nor overly optimistic. Here are some results for the $64,000 Current FI number we calculated above at 10, 15, and 30 years as examples. Now, you have the yearly cost of your Future FI life. This actually could be considered a financial independence target. You need to figure out how to have this much each year without working in order to be financially independent. That’s probably only part of the answer you were looking for though, so let’s go a bit farther. Let’s shoot to reach FI in 15 years. So we’ll use the Future FI Cost from that row going forward. We’ll round it up for ease of calculation. Key Decision 3: Will You Have Any Extra Source of Income? This seems like an obvious statement, but to live your FI life, you’ll need to generate enough money each year so you don’t have to work. In our final step today we’ll talk about the most common FI strategy for generating that amount. Before we get there, let’s consider if you might have other sources of income already planned. For example, if own a rental house that cash flows $1000 a month, that’s $12000 a year coming in. If you aren’t planning to reach FI until you can draw social security, you can use the website to estimate your annual benefits. You may have a pension or some type of annuity. Take a moment and list any source of income you will have in your FI life. You might have none. That’s okay. In our running example we’ll assume you have a rental generating $10000 a year, and you’ll earn $2000 annually from a hobby business. Subtract those from your Future FI costs. We started getting into this in the previous step, but let’s focus on it now. Your goal is to meet your future FI need by generating income that doesn’t require you to actively work. This is commonly referred to as passive income. Real estate can also be considered a passive income string. There are many ways to generate passive income, but for now we’ll focus on paper asset investments. How much do you need invested to generate your Future FI need? Now we’re getting REALLY close to what you came here for. Key Decision 4: How risky do you want to be in FI? Most answers to the “how much money do I need to invest to generate what I need” question are based on the 4% rule. There are dozens of articles that go into detail on this. The short summary is there have been several studies (with the most commonly cited being The Trinity Study) that demonstrate withdrawing 4% of your invested assets from a balanced paper asset portfolio is almost certainly safe for 30 years. This leads directly to what some call the Rule of 25. (Note: I don’t call it a rule – because the study result is actually a probability.) Multiplying your need by 25 will give you the number that allows you to generate this probably safe 4% withdrawal. Even better, it accounts for inflation. Too often people ignore the 30-year horizon, the small probability of failure, and the fact it is based on historical data. (No one can know the future.) 4% might be safe. If you want to really dig in, you can review a great series on safe withdrawal rate by Big Ern. After reading this, I feel much more comfortable using a roughly 3.5% rate for retirements longer than 30 years. Okay, have you made your choice? For our continuing example, we’ll go with the standard rule of 25. Now, take your Future FI Need and multiply. You’ve got your first FI Target! If you can accumulate that amount of money, invested in a balanced portfolio, you are financially independent. You now control your life. This is simply an example number. You can see how reducing your spending has a huge impact on what you need. As one example, perhaps the most common figures cited in the FI community are annual spending of $40,000 which result in a FI Target of $1,000,000. That’s less than half of our example number! If these FI Targets seem high, don’t get discouraged. Investing and the time value of money are important components of your FI path. You don’t need to save your full FI Target from scratch. In future posts, we’ll explore how savings + time accelerate growth and can get anyone to financial independence. Reaching FI is completely achievable for anyone who can save money over time! I need to say it again – do not calculate a FI Target and then stop learning. Use it as your first goal to build upon. You will undoubtedly adjust your life plans. Hopefully, you will learn more about investing. You can reduce your spending and/or increase your savings rate to adjust your timeline. You know where you’re going. Keep improving your journey! In this post, we walked through an example of how to calculate your FI Target. You have a key component of your path to financial independence! I hope this post was helpful. We’re almost through the FI Basics series. Coming up next, are posts on savings and investment. Please let me know if you have any other questions you’d like me to answer. This is a very good overview and one of the few posts that includes a realistic estimate of health care costs. As an early retiree using Obamacare for the last 5 years, it has been helpful for us as we purposely limit our reportable income to get the subsidy. Who knows how long this will last. So our actual FI number was much larger. Thanks, Susan. In an effort to simplify, I think we often underestimate both health care and inflation long term. There are ways to manage inflation with spending reduction.. But we all need to worry about health care until there is a rational solution.